This is a fantastic bar chair with a very simplistic yet modern design. 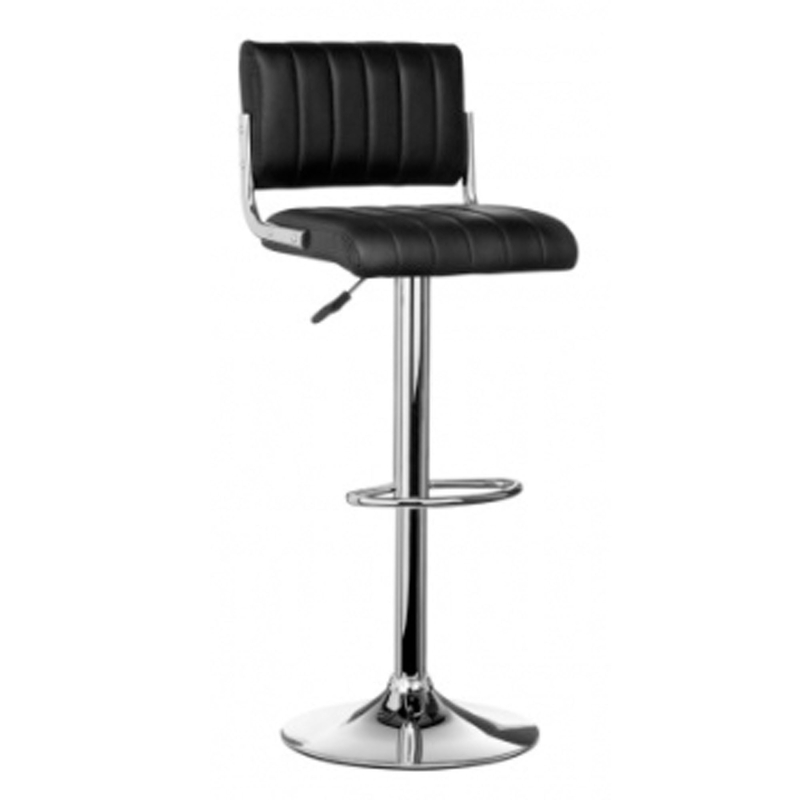 This bar chair has a gorgeous black leather effect, given a ribbed design for that extra contemporary style. This bar chair is also very comfortable and practical, it has a sturdy metal base with a footrest and an adjustable seat height.